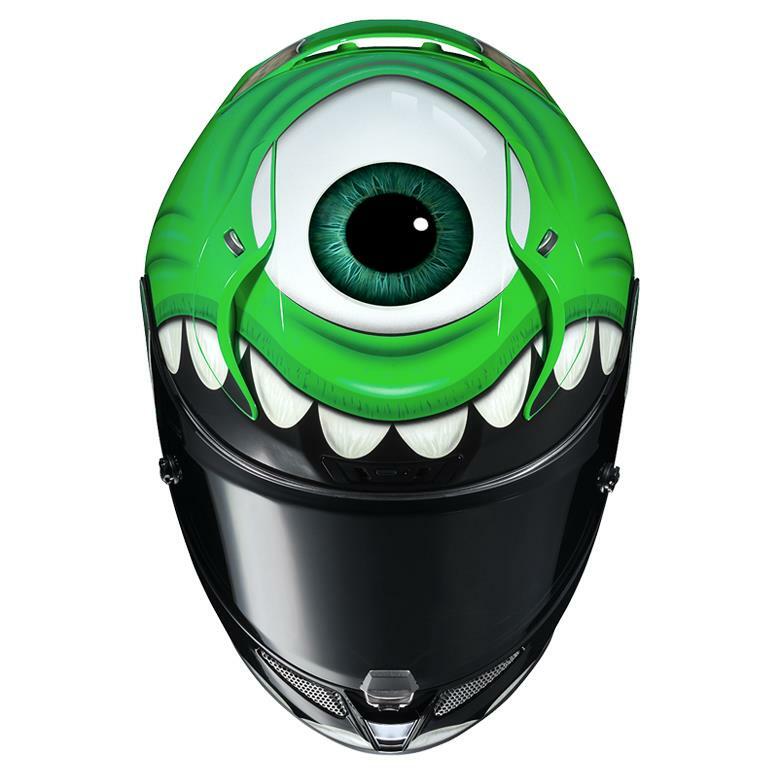 Introducing HJC’s most “eye-catching” helmet, the RPHA 11 Mike Wazowski. 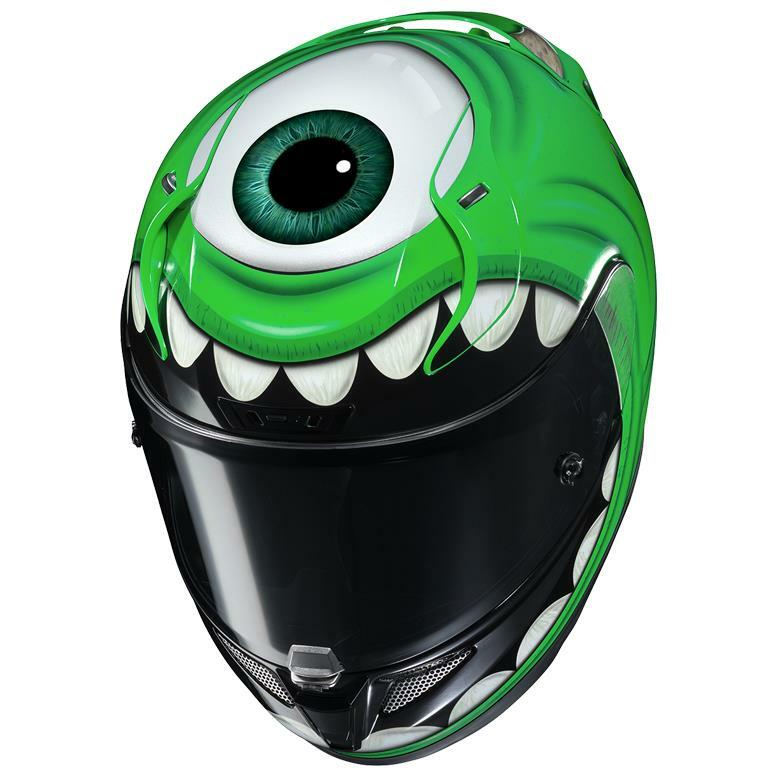 Mike Wazowski, the one-eyed monster, and scare-team expert, from Disney•Pixar’s Monster’s Inc., is definitely an unexpected character choice for a motorcycle helmet graphic. However, this wild and bright, one-eyed graphic stands out like no other on the track or the street. 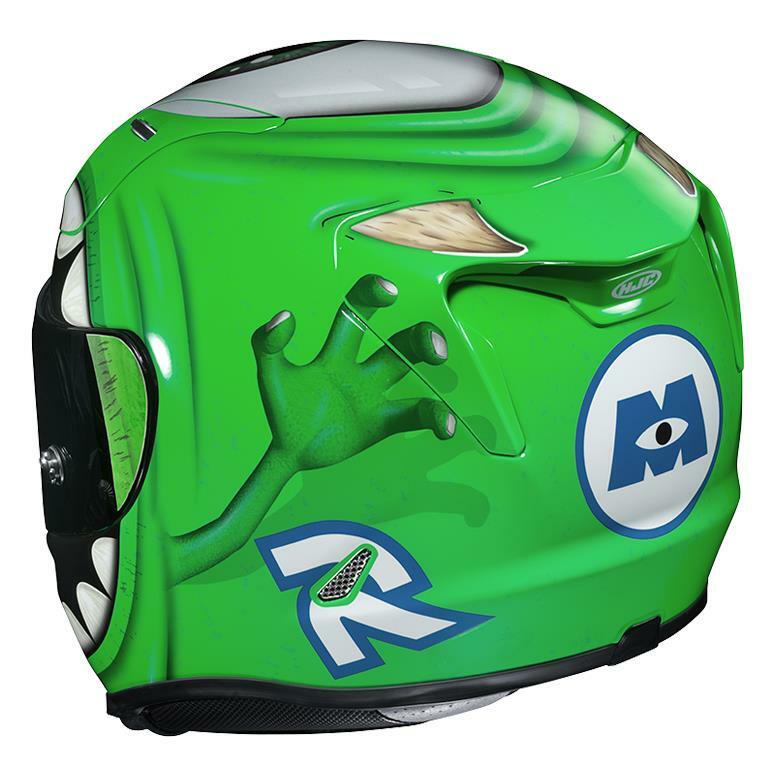 Following the RPHA 11 Lightning McQueen and Jackson Storm helmets, the RPHA 11 Mike Wazowski is the third graphic from HJC’s Pixar-licensed helmet collection, adding unique entertainment to shelves at motorcycle dealers around the world. 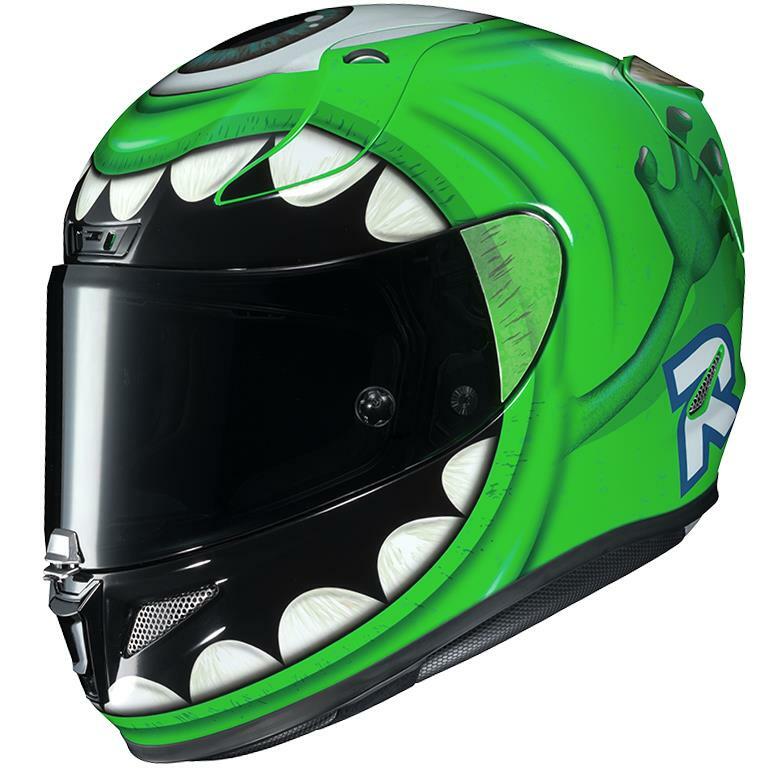 The HJC RPHA 11 builds upon the hugely successful RPHA 10, creating an even more finely tuned helmet for sport and track-day enthusiasts. 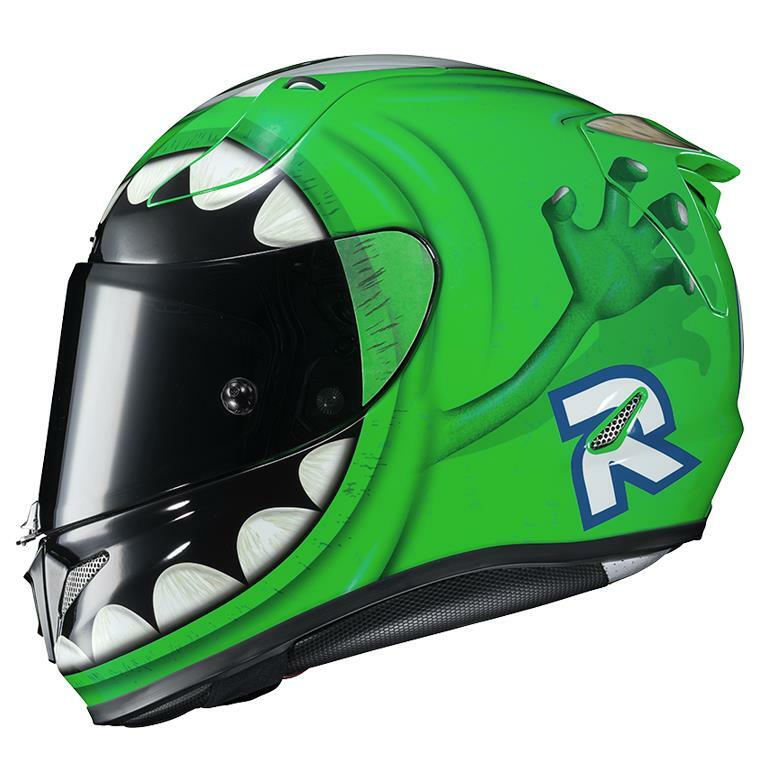 A more aerodynamically refined shell, improved rear spoiler design, ACS "Advanced Channeling Ventilation System", an added forehead vent, greater field of view, a redesigned face shield gasket system and optically-superior Pinlock-ready 2D flat-racing shield rounds out the features of this helmet.